Despite the Christmas season having come to an end, your family calendar won’t be empty in January. Hong Kong and the rest of Asian audiences can start preparing to be amazed by the world’s first action-packed, all-electric, indoor theatrical stunt show ‒ ELĒKRŎN. 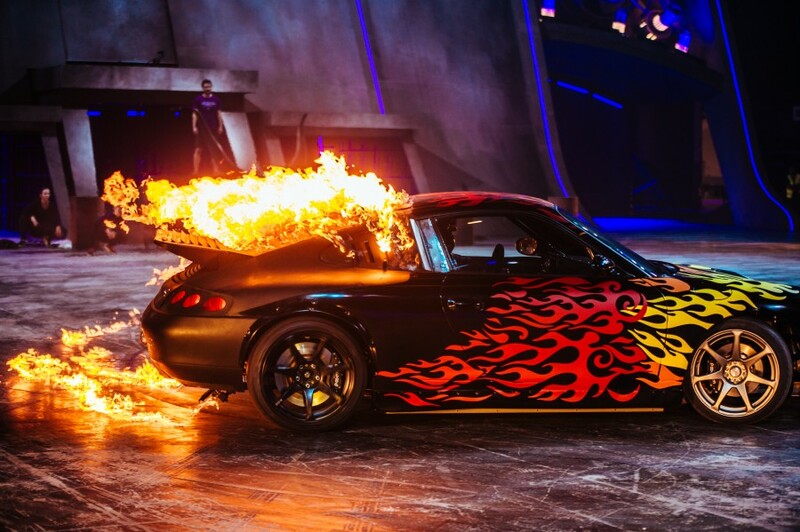 It features an acclaimed and prestigious production team, custom-adapted electric vehicles ‒ powered by Tesla motors, a star-studded cast from around the globe, astounding special effects and an array of unrelenting and heart-stopping stunts. The show is also complemented by a comprehensive selection of circus artists, such as acrobats, air gymnasts, and parkour practitioners. Without a doubt, this world-class spectacular is the most hotly anticipated event of this year, with widespread appeal beyond just car enthusiasts and circus freaks. Even the most jaded youngsters will be thrilled by the high-octane action that will keep spectators of all ages on the edge of their seats. ELĒKRŎN is set to run in Macau for the very first time from 24th January 2019. Read on and find out how to witness the biggest legendary show with its UNRIVALLED SELECTION OF FAMILY PACKAGES. ELĒKRŎN has been created in collaboration with the world-renowned production team Stufish Entertainment Architects, whose award-winning international portfolio includes concert designs for Elton John, Madonna, Rolling Stones, U2, Beyoncé and Lady Gaga. In addition to the aforementioned artists, the team developed shows for the 2008 Beijing Olympics Opening and Closing ceremonies, and the spectacular 40th UAE National Day celebrations Spirit of the Union. 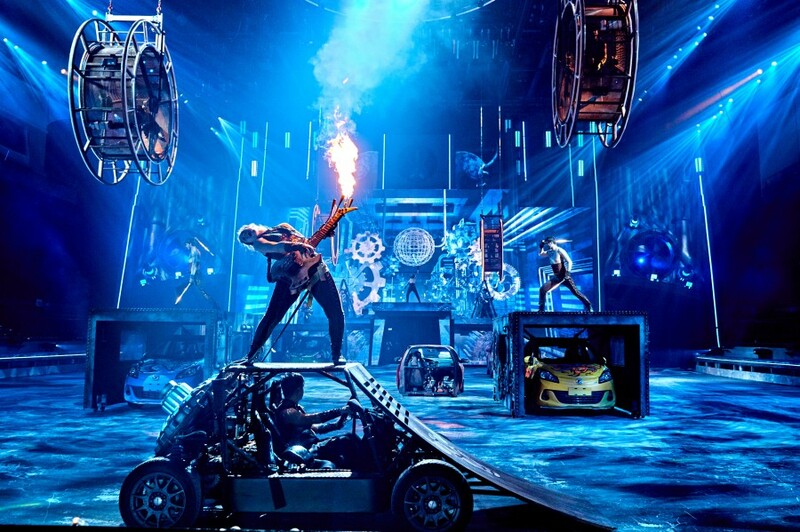 Bold, jaw-dropping stunts and powerful electric vehicles including sports cars, customized buggies, quads, trials bikes, FMX bikes and even a biplane will light up the arena during the 75-minute show which executes at breathtakingly close proximity to the audience. Powered by Tesla motors, all the vehicles are designed from scratch and feature a custom-designed control system. “Powered entirely by electricity, ELĒKRŎN is a crazy, death-defying stunt show that is nothing like you have ever seen before. The arena is filled with fireworks and pyrotechnics. The wild post-apocalyptic cars, bikes and buggies are leaping over each other, as their drivers fight over the abandoned power station where the story is set.’ – said Frederic Winckler, Executive Vice President, Chief Marketing and Brand Officer of Melco Resorts & Entertainment. In the year 2088, a ferocious electrical storm has inflicted a torrent of destruction upon mankind. Civilization as we know it has been irrevocably altered, and confined to the realms of history books. In an epic story of survival, involving a heroic race against time, a nomadic tribe of survivors work in unison to confront the forces of nature, and harness the power of electrical energy to achieve their aims. According to legend, deep in the desert, there is a power station, which exists for some unfulfilled purpose. The intrepid group of heroes strive to find a new home, through a mixture of fortitude and determination. They desperately search for this land of hope and new beginnings, whilst confronting a deluge of perilous dangers and overwhelming obstacles. ELĒKRŎN is this inspirational destination, towards which they are ultimately drawn. From celebrities to beloved film stars, the crème de la crème of the creative industry to national political leaders, all these guests will pass through the doors of Studio City’s outstanding 5,000-seat Event Centre ideally located on Cotai, Macau, to enjoy the first big show of the year. “I have the utmost respect for the cast and crew, especially after my backstage visit to the training session. Just watching the action unfold during their training is enough to get the adrenaline pumping! 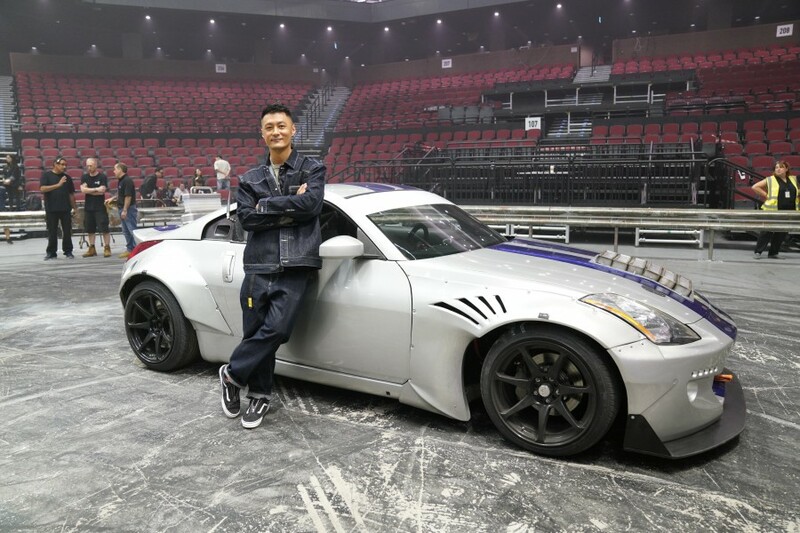 I really can’t wait to see the full show this January”, – said Hong Kong celebrity Shawn Yue. 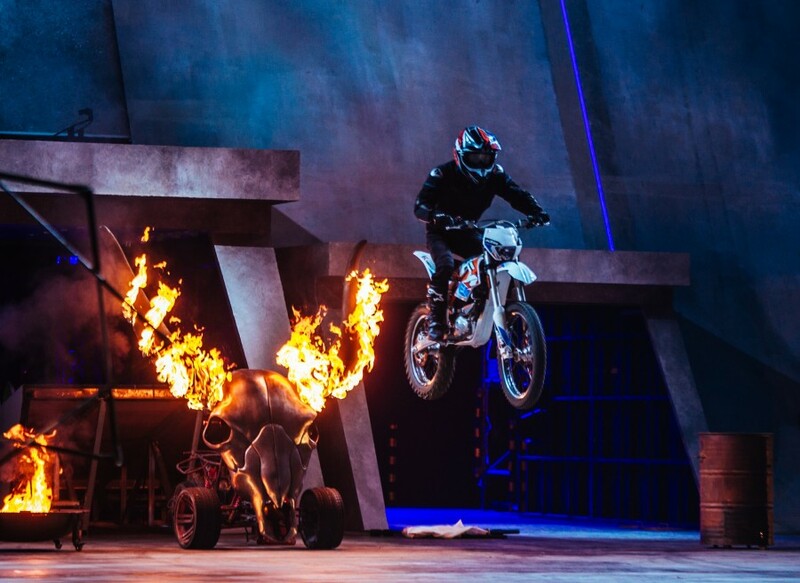 We are delighted to offer you the chance to see the world’s most electrifying stunt show as it hits the stage of Studio City in Macau, the Hollywood-themed studio-concept resort, with special FAMILY PACKAGES to give your family great value for money. Each ELĒKRŎN's family package is complete with 1 complimentary child ticket (for children under 12) when you buy 2 standard adult A/B/C Reserve tickets for the same performance date and time. Yes, such a chance is an unmissable opportunity for those that like to be entertained. Book between 1st January to 26th February 2019 and purchase the tickets at least 2 days in advance. Please notice, that for ticket collection purposes, you should bring your valid ID card or passport with a valid proof of age for the child, in addition to the credit card used in the transaction at Studio City or City of Dreams Box Office. Tickets for ELĒKRŎN are available now at https://www.studiocity-macau.com/.